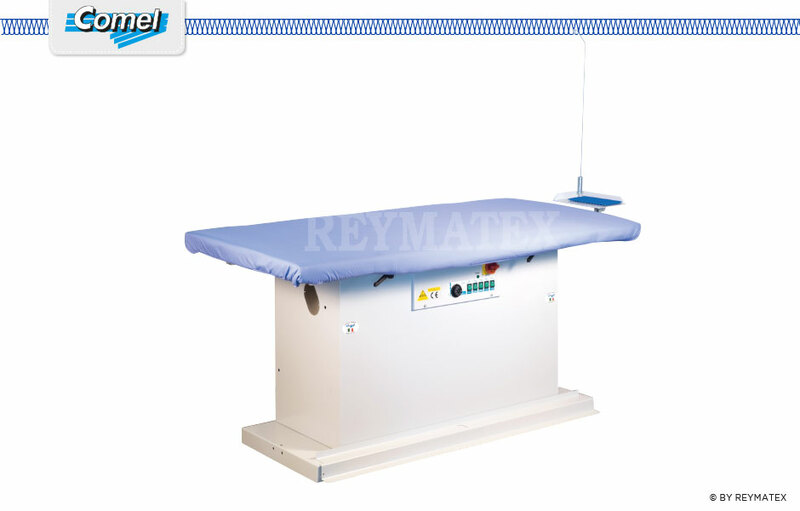 Rectangular Universal industrial ironing table with fan for steam suction function with 1 HP 380V motor. Heated board surface. Board sizes 180×90 cm. Inclined board. Hand iron not included. Rectangular Universal industrial ironing table with fan for steam suction function with 1 HP 220V motor. Heated board surface. Board sizes 180×90 cm. Inclined board. Hand iron not included.